Carolina Cardoso Alves is probably the perfect local, who not only will tell you about Lisbon but will also truly inspire you to pack your bags and visit Portugal, regardless of the season. Carolina graduated from law school in Lisbon and walks us through the popular and hidden parts of the Portuguese capital. The first place I will take you to in Lisbon is… Baixa-Chiado – two neighbourhoods in the heart of the city that stretch from the coast to the main boulevard Avenida da Liberdade (Liberty Avenue). The streets in Baixa are named after the shop-owners and craftsmen, who traded in the area. Here past and modernity meet. Walking around Baixa is almost magical. In addition to the magnificent buildings, the huge coastal square Plaza del Comercio, the elegant square Praça do Rossio, the main boulevard Avenida da Liberdade, the old trams and the elevator Elevador de Santa Justa, (which gives an incredible view to the city), here you can find stores offering elegant and alternative couture, fado restaurants, cafes and museums. Whenever I want to enjoy some tranquillity, I go to… Belem. In Belem you can find cafes sheltered in beautiful traditional houses, tables in the open by the Belem Tower garden. The best place for coffee and cake is… Antiga Confeitaria de Belem Café, where they have been serving the delicious cream tart pastry known as Pastel de nata. In fact, the great Portuguese sailors would set out for their discovery missions from Belem neighbourhood itself. There are several monuments by the river, which are worth visiting, such as the Belem Tower (Torre de Belem), the Jerónimos Monastery (Mosteiro dos Jeronimos) and the Monument to the Discoveries (Padrao dos Descobrimentos). If you come to Lisbon, make sure you take a picture with… the statue of Fernando Pessoa – one of the greatest Portuguese poets. The statue is on Garret Street (Rua Garret), in Chiado neighbourhood, near the emblematic cafe Cafe a Brasiliera. From the local cuisine make sure you try… cozido à portuguesa (vegetables with different types of meat and sausage) or dried fish (Bacalhau). When I want to escape the crowds, I go to… Gulbenkian Park. There is an open-air amphitheater for 1,000 people, the park with the lake in the background. During the day, lots of locals turn it into a special place for resting, reading or meditating. In addition, on stage are dance, theater and musical performances – mainly in the summer. Lisbon residents would never… stop loving their city. Lisbon has a unique natural light and a special atmosphere, which make it one of the most beautiful cities I know. 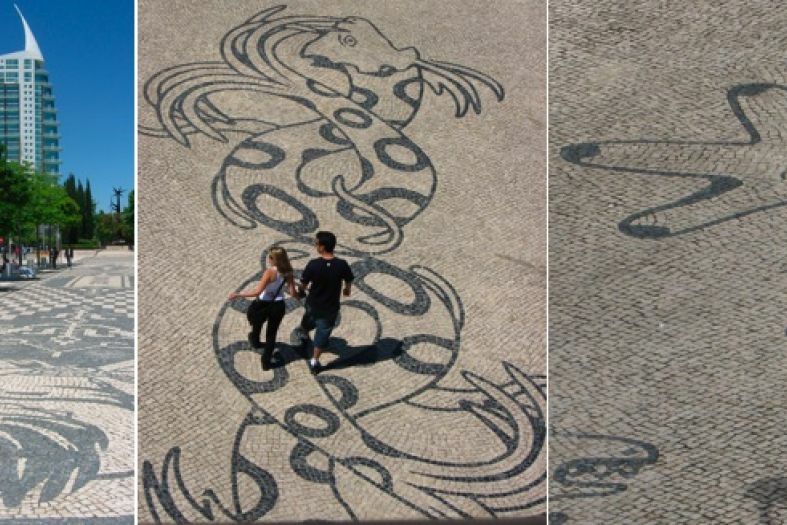 Few people know that… Lisbon s cobbled pavements are a real work of art. The traditional Portuguese cobbled roads appear and develop during the restoration works after the devastating earthquake in 1755. Everything started with the cobbles at Rossio Square (Praca do Rossio), which soon reached other cities in Portugal, Brazil, Macao and other colonies. In the spring you should… visit the Nations Park (Parque das Nacoes) – amazing contemporary architecture by the river, in full contrast with the old neighborhoods. One of the world’s most impressive oceanariums is located here. In addition, there is a watch tower, harbor and lots of places where you can grab a bite or a drink in the open while looking at one of the longest bridges in the world – Vasco da Gama. In the summer you should… visit one of the summer festivals. The biggest is Optimus Alive – a series of concerts. Green Day, Depeche Mode and Kings of Leon among others have performed there. In addition, you should go to the beach. You can choose between Cascais and Costa da Caparica. Both places offer big sand dunes and opportunities to surf, kite surf, body-board, windsurf, etc. In the autumn you should… take a walk around Baixa and Chiado, snuggled in a warm coat, eating roasted chestnuts bought from street vendors. The weather in Lisbon is mild and you can do the same things in spring and in autumn. You may worry about the rain only in winter. In the winter you should… find yourself a quiet and warm place to have a cup of warm tea while reading a book. 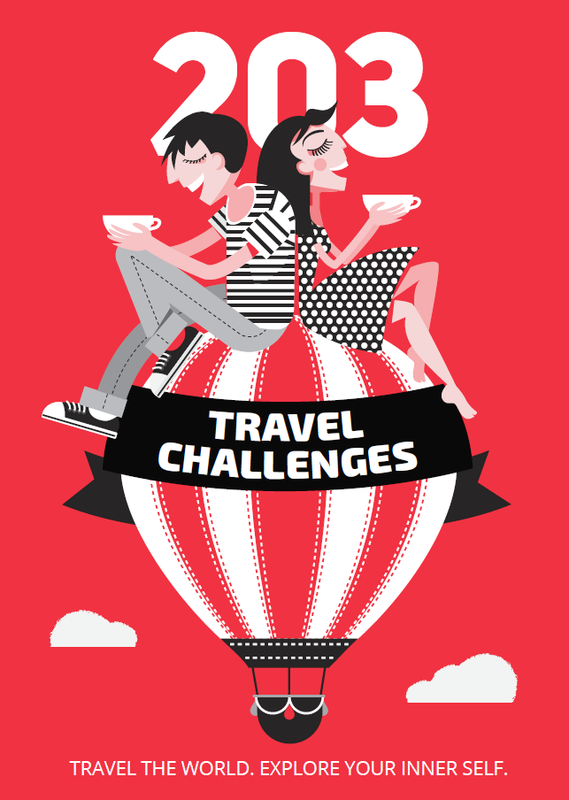 You can also spare some time for culture, museums (the Fado Museum, the Design Museum), concerts or the theater. If you feel like shopping, you can choose between several trade centers. I personally prefer Atrium Saldanha because there are live piano performances in the late afternoon. The biggest malls, however, are Centro Comercial Colombo, Centro Comercial Vasco da Gama and Dolce Vita Tejo. The best one-day trip from Lisbon is to… Sintra. It is located 30 minutes away from the capital and will impress you with its mystical hills, on which fairy-tale castles and extravagant villas are perched. North of Lisbon there are several excellent beaches – Praia da Adraga (among BBC’s top 20 European beaches), the spacious Praia Grande and Praia das Macas. Only in Lisbon you can see… the Santos Populares celebrations. In Lisbon we celebrate St. Anthony the Matchmaker’s Day on 12 and 13 June. “Saint Anthony, Saint Anthony, find me a husband” is one of the most popular refrains at this time. But as we also honor the saints Sao Pedro and Sao João, the celebrations last a whole week. We decorate the streets with balloons and colorful paper arches and in the old neighborhoods (Alfama, Ajuda, Mouraria) there are street stands where you can buy red wine and sardines. People dance traditional dances on the streets. Along Avenida da Liberdade boulevard, on 12 June there is a parade of the city neighborhoods called Marchas Populares. Hundreds of people in colorful costumes march in the spirit of the traditions of their part of the capital – fishermen, old crafts, etc, competing to be the best among the neighborhoods. There is another tradition on Saint Anthony’s Day – if you love someone, you give them a love letter or a love verse attached to a basil stem. When I want to take a walk in nature, I go to… the Botanic garden in Principe Real quarter. At its opening in 1873 it was considered the best botanic garden in Southern Europe. Today, although slightly neglected in some parts, you can still see one of Europe s richest subtropical plant collections there. In addition, the thick exotic flowers, trees and bushes (18 000 species in total, all of them labeled) are the coolest place in Lisbon. The other option is Monsanto Park from where you can see entire Lisbon. There are also lots of animals here.